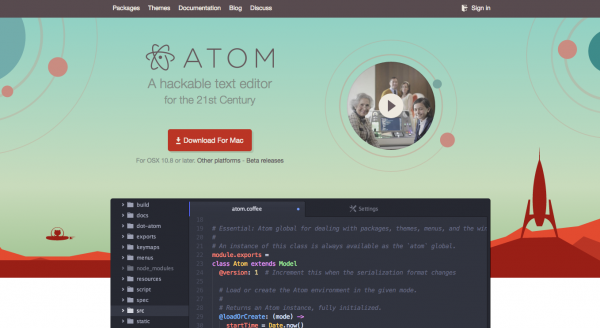 Download Atom by heading to the Atom website. Depending on your operating system, the website will automatically load the compatible Atom editor for your operating system to download. If necessary, you can also click on the link labeled as "Other platforms" to view the other downloads. From the website, you can then download the Node.js version. If necessary, you can download one specific to your operating system by clicking "Other Downloads". hello i am a command line command! You'll see this when you get to the first experiment. But, don't skip ahead—you'll need the tools we install in the next step. Take a moment to set up a working area (directory) where you can put the programs for your Johnny-Five Inventor Kit (J5IK). You'll also need to initialize the new project with npm and install needed npm modules for both Johnny-Five and Tessel. Running these commands will generate some output in your terminal. If everything goes smoothly, you'll see some output about edits to a package.json file, and some additional output as npm installs the needed modules. You may also see a few WARN statements about missing description or repository field. Don't worry—nothing's broken. npm WARN j5ik@1.0.0 No repository field.